Can crime make our world safer? Crimes are the worst of humanity’s wrongs but, oddly, they sometimes “trigger” improvement in our lives. 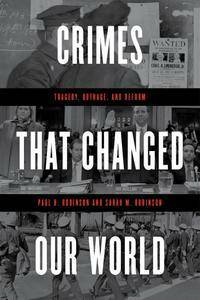 Crimes That Changed Our World explores some of the most important trigger cases of the past century, revealing much about how change comes to our modern world. 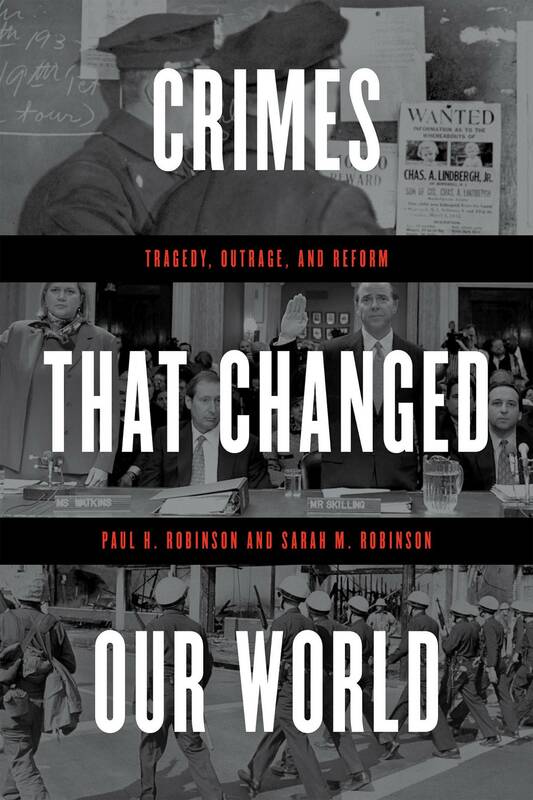 The exact nature of the crime-outrage-reform dynamic can take many forms, and Paul and Sarah Robinson explore those differences in the cases they present. Each case is in some ways unique but there are repeating patterns that can offer important insights about what produces change and how in the future we might best manage it. Sometimes reform comes as a society wrestles with a new and intolerable problem. Sometimes it comes because an old problem from which we have long suffered suddenly has an apparent solution provided by technology or some other social or economic advance. Or, sometimes the engine of reform kicks into gear simply because we decide as a society that we are no longer willing to tolerate a long-standing problem and are now willing to do something about it. As the amazing and often touching stories that the Robinsons present make clear, the path of progress is not just a long series of course corrections; sometimes it is a quick turn or an unexpected lurch. In a flash we can suddenly feel different about present circumstances, seeing a need for change and can often, just as suddenly, do something about it. Every trigger crime that appears in Crimes That Changed Our World highlights a societal problem that America has chosen to deal with, each in a unique way. But what these extraordinary, and sometime unexpected, cases have in common is that all of them describe crimes that changed our world.